Once again, The Ohlmann Group has been honored as one of the region’s best places to work by the Dayton Business Journal. This is the third year in a row we have received this designation, and we couldn’t be happier. 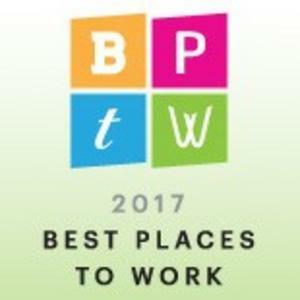 The 13th annual Best Places to Work award event will be held March 23rd from 5:30 p.m. to 9:30 p.m. at the Ponitz Center at Sinclair College. Kameron Hurley is an award-winning author and advertising copywriter. In addition to creating knock-out content for brands by day, she pens novels and essay collections by night. Hurley's work has appeared in The Atlantic and Popular Science, and she writes regular columns for Locus Magazine.